Blood and serum products are the commodity at this farm. Livestock are the lifeblood of many agricultural enterprises, but few places is that more literally true than on Quad Five ranch near Ryegate, Montana. All seems pretty standard issue when you pull into the ranch’s feedlot: barns, haystacks, feed trucks buzzing around, and livestock lingering at the bunks. A closer look reveals some oddities, though, such as the diversity of livestock present and the peculiar square shaved spots on their necks. 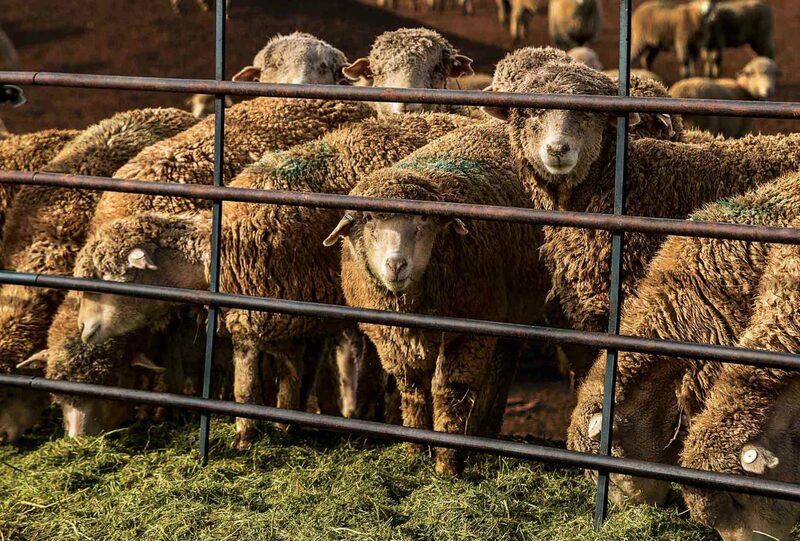 Once a struggling sheep feedlot, Quad Five is now one of only a handful of businesses worldwide producing a diverse range of blood products from live donor animals including sheep, goats, cattle, and horses. 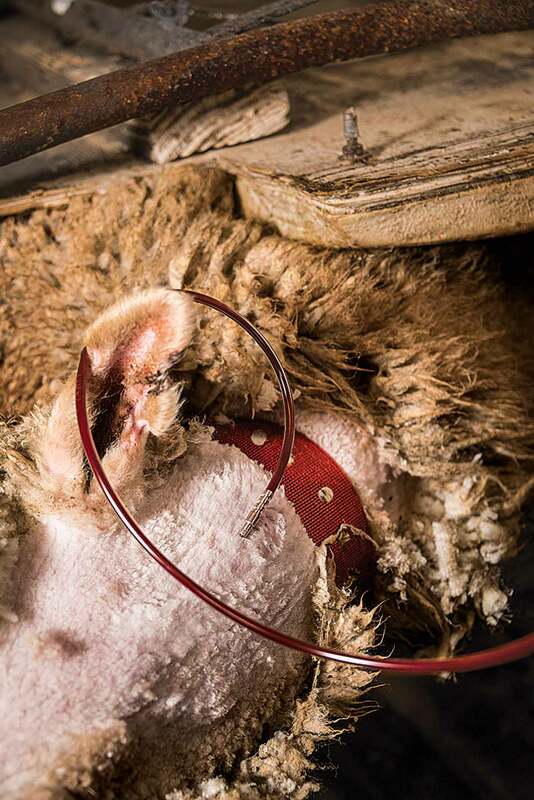 A spot on the neck is shaved and disinfected prior to drawing blood, which happens once every 28 days for sheep. Health connection. Blood products play a vital role in both human and animal diagnostic testing among many other uses. One of Quad Five’s leading products is defibrinated sheep blood, which is used to make blood agar plates for strep diagnosis. “The strep bacteria will hemolyze (break) the blood cells making a white ring around the bacteria,” explains Wiley Micks, Quad Five owner. Washed bovine serum is used for mastitis testing in cattle, goat serum for HIV testing and horse serum for venereal disease diagnosis. One of the biggest sellers when Micks was just starting out in 1987 was horse plasma. It was used to create a treatment for failure of passive transfer in foals, a disorder which results in insufficient immunity and death. Now Quad Five offers more than 120 blood products sold for uses ranging from production of mass use products like strep tests to niche uses such as forensics. “The fact that we sell blood products instead of grain or livestock has kept us going through thick and thin,” Wiley notes in regard to fickle ag markets. He has high input costs including supporting 20 employees, packaging supplies, expensive international shipping, and feed, but the products are in constant demand and command a good, steady price no matter the state of livestock markets. While the goats, horses and cattle are permanent residents at Quad Five, Wiley has a unique arrangement for the sheep. He buys ewe lambs from large sheep operations in Montana and Utah, puts them in the donor program for a year and then sells them back to the previous owners as developed yearlings ready to breed. “Lambs don’t fit in their program so it works well for them to have us grow out the lambs and sell them back,” Wiley explains. Wiley maintains around 6,650 sheep. They are bled once every 28 days providing 1 liter of blood per session, which takes about 7 minutes. Quad Five produces 1,500 liters of sheep blood per week which equates to around 750,000 agar plates. Prairie and Northern Plains farmers are now marketing on both sides of the Canada - U.S. border.